No doubt. Southerners like to chow down on some good food. We've been known for our basketball for a long time, but North Carolina is making a name for itself in the culinary world, too. Each year, we have numerous restaurants and chefs that receive James Beard Award Nominations. That's like the Oscars for the food industry for those who may be wondering "James Who?" North Carolina is a top agriculture state, and our local chefs get down to our amazing roots. They source seasonal, local ingredients. 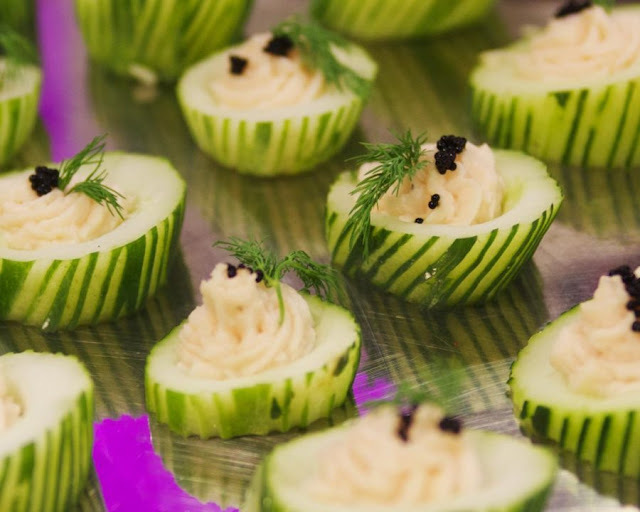 These chefs are creative and innovative with the merging of flavors from ingredients. As a tourism state with both the mountains and the coast, dining is not about just getting something to eat. Instead, it's a tasting and cultural experience. 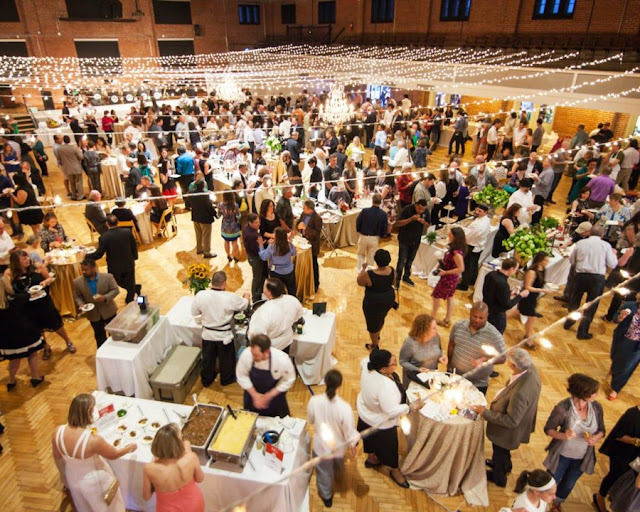 Each year, North Carolina celebrates the food experience through a four-day food festival in Durham, N.C with portions of the ticket sales going to charity. 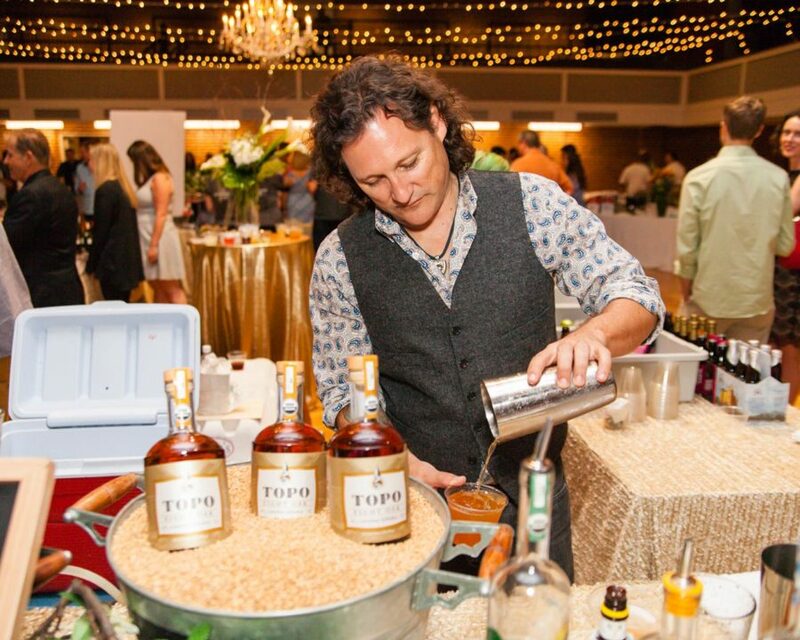 It's now in its fourth year and TASTE 2017 will be the biggest yet with the Regional Taste event that will include Southern chefs, food and beverage outside of the Raleigh-Durham and Chapel Hill area. This new tasting event will be held Saturday, April 22 from 12 pm to 2:30 at the Durham Armory and will put more than 30 chefs under one roof for the regional grand tasting experience. In a media partnership with Durham Magazine, Chapel-Hill Magazine, and Chatham Magazine, I am giving away two tickets to this April 22 event. Two tickets are valued at $140. Single tickets are $75. Good luck. 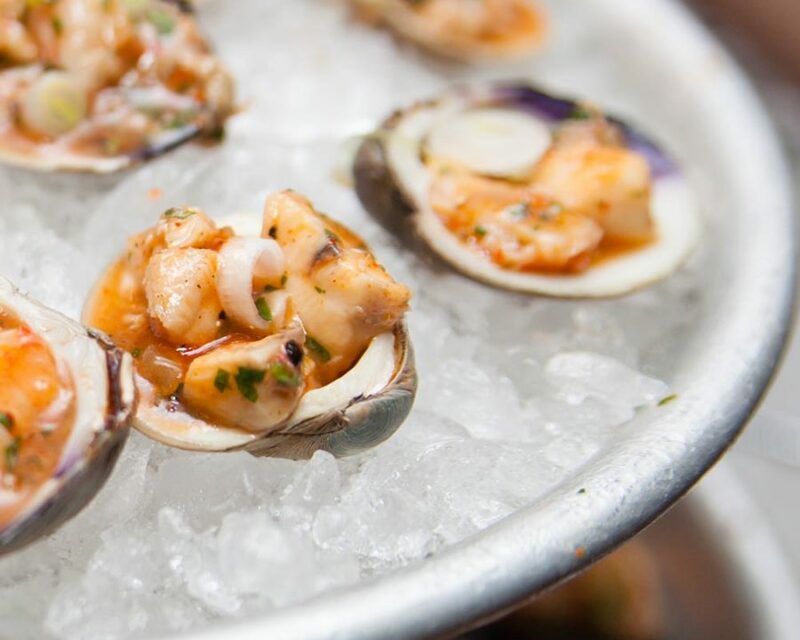 This is a four-day foodie weekend with many of attractions and events from April 20-April 23. Here are a few highlights and you can see all the events and purchase tickets on the TASTE2017 website. To learn more about the event and purchase tickets, visit TASTE2017 official website. #OutaboutNC Getaway: Village Hotel On Biltmore in Asheville, N.C.
Biltmore Estate in Asheville, N.C. is my state's biggest tourist attraction. It's majestic. The food is farm-to-table fabulous, and the scenery is breathtaking. It's certainly a must-see for the first-time Asheville visitor, but it's also a place where North Carolinians and locals want to frequent often. And with four distinct seasons that the estate promotes, it's easy to visit this Asheville landmark all year. 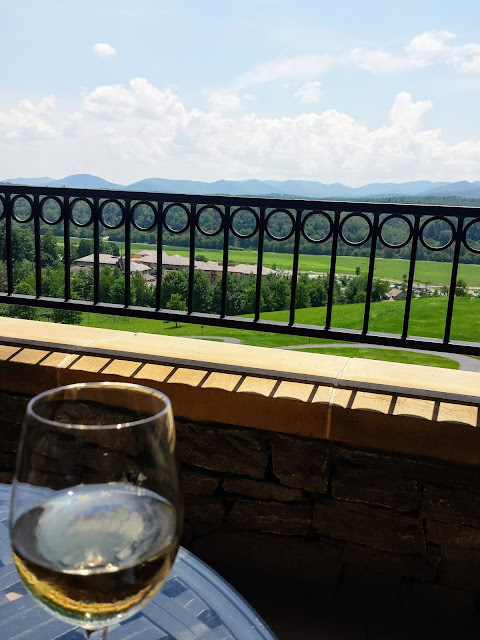 I've been to the estate many times over the years, especially since starting this blog and have featured Biltmore in many posts and in international writing assignments. 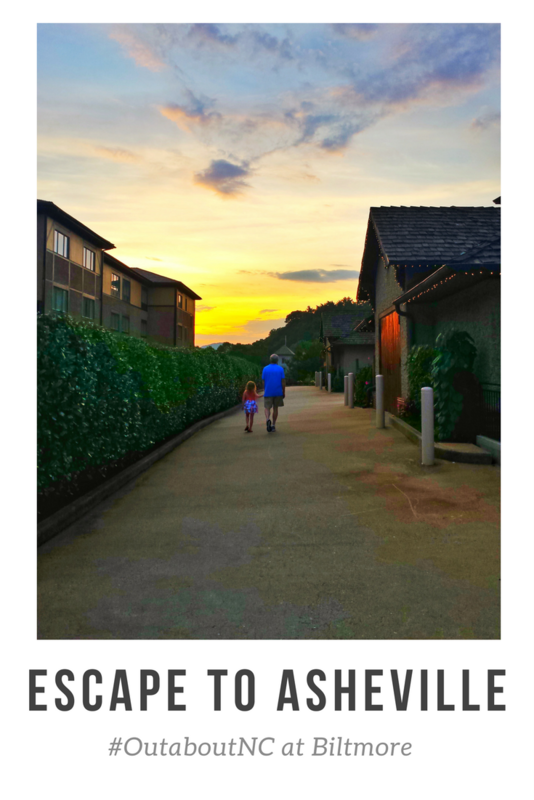 Last summer, I made two personal trips to Asheville to take Jack to summer camp in the area. The hotel scene in Asheville will burn a hole in your wallet if you want to stay somewhere with style and with a good location like I typically do. 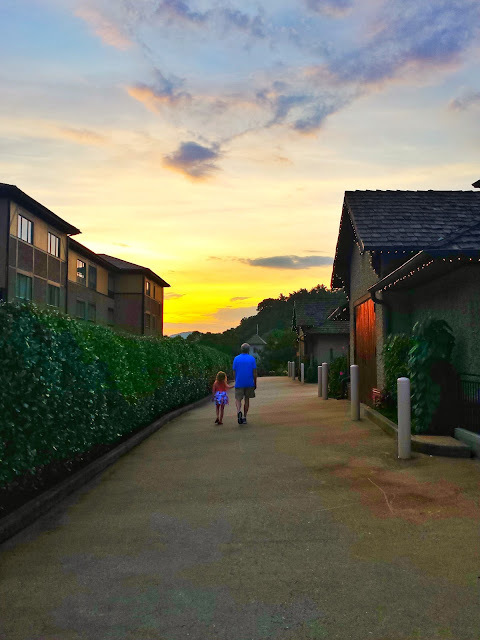 Don't be surprised to see prices from $300 to $400 per night in prime locations, and that price-tag is with well-ranked three-star hotel chains, too with prime downtown Asheville locations. A three-day weekend could set you back anywhere from $1,000 to $1500 on hotel alone. Sometimes, you can get lucky and find some great deals.I used the blog's Hotels.com affiliate link and found the Village Hotel on Biltmore in Asheville available for around $280 per night on the dates I wanted to be there. As quick as you could say, "that room is mine," I booked it. Biltmore refers to its Village Hotel as the estate's upscale, moderately priced hotel with families in mind. There are no bellmen to take your luggage or a valet to park your car. There is not a spa, afternoon tea, or 24-hour room service, but there is so plenty of charm and the location situated in the middle of Biltmore village is ideal. 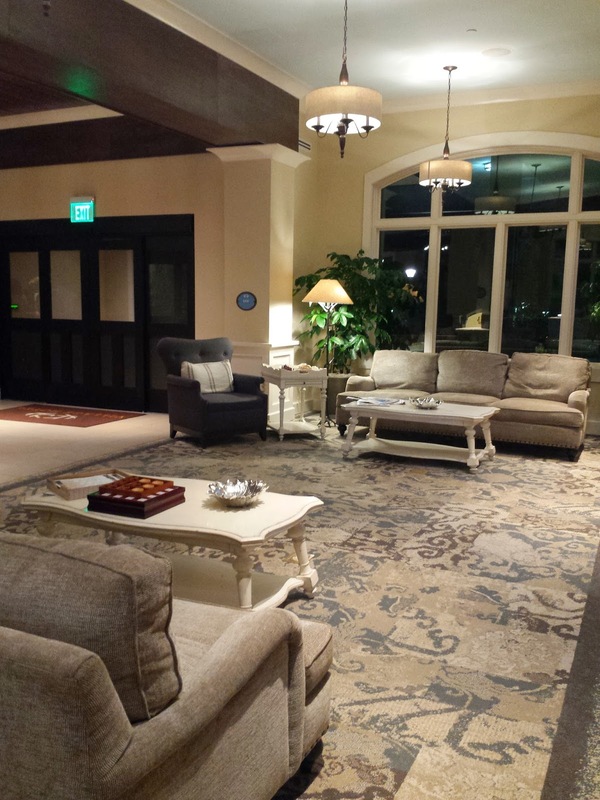 Room rates start about $150 less per night than the estate's luxury Inn, which is perched above the village. I've been to a lot of hotel properties and this limited-service property blew me away with design, style, and overall, service. The hotel has a very European country type feel and the rooms also reflect that uniqueness. 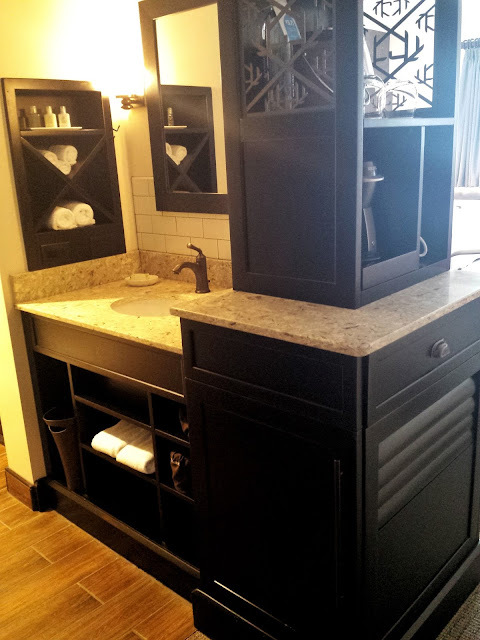 Other than the fact that there are no bellmen, and the hotel has a more casual vibe to it with an open- a-carte type setting to grab a quick breakfast, it seemed like a luxury hotel to me in terms of room size, bathroom layout, and in-room amenities. The walk-in tile shower was a huge bonus and its sliding barnyard doors added character. The design in this hotel screamed quality from the heaviness of the doors to the individual window seats in the room. 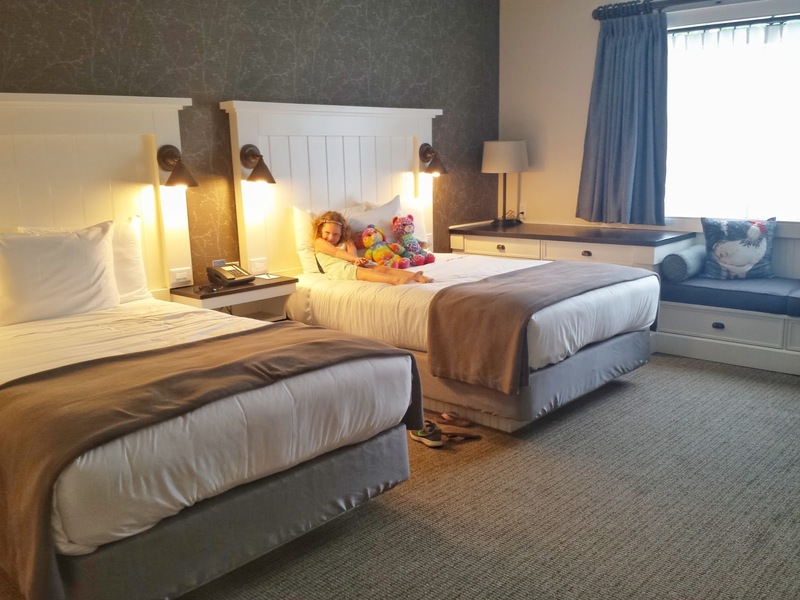 I really liked this hotel and really believe the layout is better for families than the luxury inn. The rooms seem more spacious, honestly. The hotel has a nice outdoor swimming pool which is great during the summer. As with all Biltmore properties, you have complimentary transportation to take you around the estate. I highly recommend this hotel for families or couples for those who want to stay on the estate. When staying in the village, you have the choice of three restaurants just by walking out the door in Antler Hill Village. Village Social is the restaurant located within the Village Hotel. It serves breakfast, lunch, dinner, and late night. It has a nice outdoor seating area as well. The restaurant has a nice kid's menu. In my opinion, Biltmore does children's menus well. They realize that today's older, sophisticated, health-conscious parents have moved way beyond the processed kid's menu of past generations. My son, Jack, has moved away from the kid's menu selection. He goes for oysters on the half shell now. 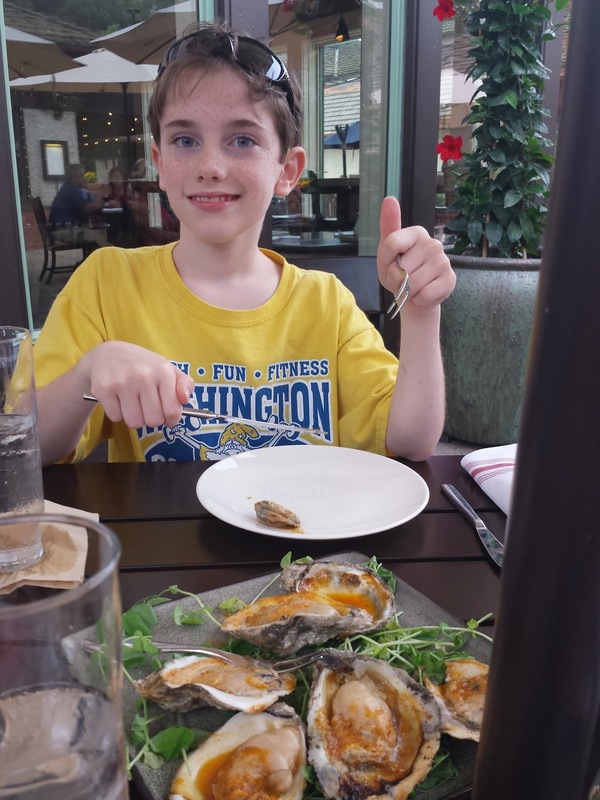 Overall, this is a great bet for families and for a casual yet upscale bite. Cedric's Tavern offers global pub fare and is another great option in Antler Hill Village. We did not dine here last year but did so on another visit to the estate when we stayed at the main luxury Inn. It also has a children's menu and lots of comfort food dishes like Shepherd's Pie, and Fish and Chips. It has a lively atmosphere and is named after the Vanderbilt's dog, Cedric. The Bistro is also in Antler Village and is also a seasonal farm to table upscale venue. The price point for this restaurant is higher than the other two in the village. It offers lunch, dinner and Sunday brunch. On this night, we were tired and did not want to leave the Estate. It was very easy to walk next door. Our server had crayons and activities for Liza when we were seated. The Bistro has a children's menu. This particular restaurant has a European feel to it with an open kitchen. Since chefs are working in the open, it's not the type of restaurant where you can hear a pin drop. Biltmore falls into the Disney category to me although it has much better food than Disney. And what I mean by that is that I would take my children to any restaurant on the Estate except the Dining Room at the Inn on Biltmore, which has a special three or five-course menu. The Library Lounge is still upscale, however, it is better suited for children with burgers and sandwiches on its menu. One of my best meals was on the terrace. We spent some time on the Inn terrace because it's just a favorite place of mine for drinks. Of course, there are restaurants all over Asheville, too. But, when I stay on the estate, I have a hard time leaving the estate. I enjoy the tranquility and countryside life it provides just like it did for the Vanderbilts. Biltmore is currently in the Biltmore Blooms season. Disclosure: The HinesSightBlog does have affiliate travel links in this post and a small commission will be paid if a hotel is booked. Thank you for supporting my writing. It is amazing that the subject of cornbread would bring me out of my writing retirement. My last post was one month ago on this blog. That's like years in the blog world. I knew that when I took the time to sit at my desk to write again, the subject matter would have to move me, but I had no idea the subject matter would be cornbread. Cornbread. I serve it with Will's chili. I typically make it when we have dinner guests and I must follow Will's recipe down to every ingredient or else, it probably will not get eaten. So, what's so special about cornbread? 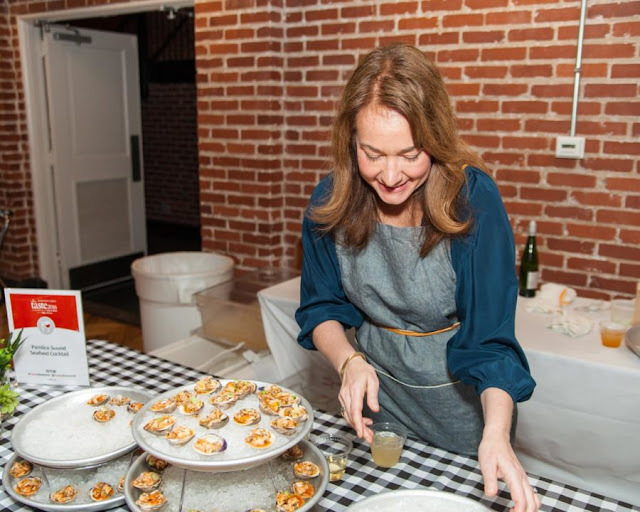 This March, food writer and cookbook author Kathleen Purvis, won several awards by the North Carolina Associated Press for this story on sugar in cornbread that was originally published in March 2016 in the Charlotte Observer. I met Kathleen several years ago at a Savor the South cooking festival. It is a fascinating article and really depicts the history of the South, and how our food can be so divers today based on how we were raised. You really need to read this wonderfully written article, but to paraphrase, it is believed that cornbread styles started to differ in the South based on the type of cornmeal used. Yellow cornmeal was less expensive that the naturally sweeter white cornmeal mix. Only Southern gentry used the white corn meal, and it was baked on special occasions. It was not an everyday dish for anyone. 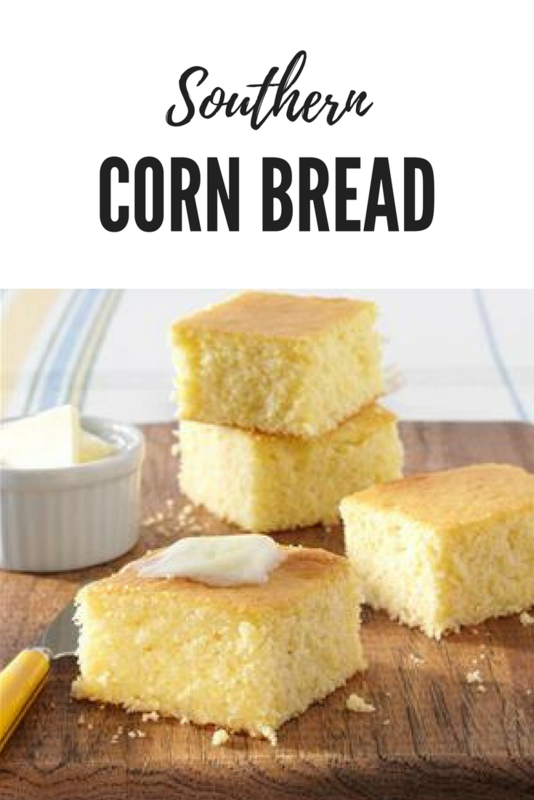 In the early 1900s, cornbread was made with flour and water-based white corn meal made with sweet white corn, but by the time the depression hit, yellow corn meal was produced because it was cheaper and would last longer. It is believed that cooks, especially African-American cooks added sugar to their recipes to give it a sweeter flavor. Cornbread, of course, was made from scratch during that time using cornmeal, flour, which helped it rise, and some added sugar for flavor. Historians think this is one of the biggest differences between Southern food and soul food today. The modern cook will also recognize this sweeter taste with the already prepared Jiffy cornbread mix. My grandmother never baked cornbread. At least, I don't remember her serving baked cornbread when I visited. Instead, she made what is called "hoe" cakes. She would fry them in a cast iron skillet and serve them with her entree and the many garden-fresh vegetables she would prepare daily. My own father learned a lot about cooking from his mother. My Dad made this fried cornbread, too. He didn't make it a lot, but I do remember him doing it when he would fry fish or if he made fried okra or fried chicken. If he was frying a food then he would make this cornbread, too. It's been probably twenty years since I tasted his fried cornbread, but I remember loving it. It was like hushpuppy cornbread. I didn't start making my own cornbread until I married Will. He made it. His cornbread has been called "melt in your mouth" delicious. I've served it to guests. My kids eat it like cookies and people have asked for the recipe. It's the only cornbread I've made in the past seventeen years now. I can't even say it is true Southern cornbread. But, I will tell you that I'm known for messing things up and when I do then it's no good. I left the canned corn out of it one time and it was not the same. It was Ok, but Will said it was ruined. I also left the eggs out and again, it was not the same. In fact, that batch may have gone into the trash. After reading Kathleen's article, I'm going to dub this cornbread as gourmet cornbread with soul because the base is Jiffy mix. I was going to make it for guests the other day and bought Trader Joe's cornbread mix. I told Will before I did it and let's just say I had to go to the store the day the guests arrived to get the jiffy mix. It's not jiffy....then forget it. There is no telling what is in that processed jiffy mix, but we'll never go healthy with this cornbread recipe. Some things just can't be changed. 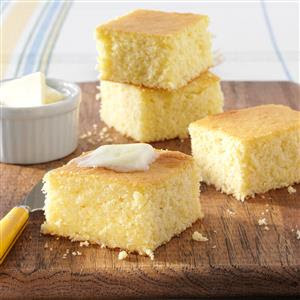 Photo of similar looking cornbread when I make mine. Recipe totally different, though. Mix ingredients together. Bake in 9 by 9 pan for 40 to 45 minutes.